There are some questions in life that are life-altering. Questions like… “Will you marry me?” or “I’m sorry, but we’ve done all that we can do… would you like for us to take your loved one off life support? But no question is more important than the one I’m about to ask you… a question that Jesus asked the disciples. Who is Jesus to you? No question is more life changing or life-altering than that one. 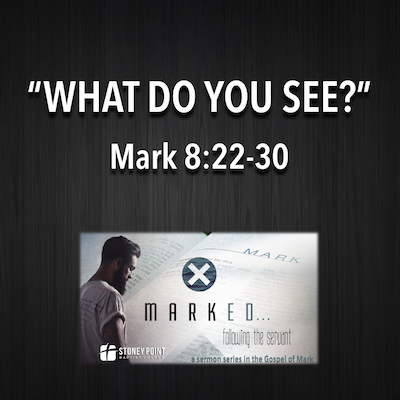 In this message, we’ll continue our #MARKED series as we look at the 15th miracle of the Gospel of Mark, the healing of the blind man in Mark 8:22-30.